My name is Joy Wahba Ishak, born in Cairo, Egypt on the 12th of November 1995. I’ve been expressing myself through art since I was a young girl. I really enjoy sketching in pencil specifically and also painting. This painting expresses a woman covering her face with her hand in order for her eyes only to be seen. Yet the viewer doesn’t know whether this woman is veiled or not, whether she’s brunette or blonde. This painting illustrates the perspective of a Muslim woman towards the Muslim women who are veiled. She has a perspective much different than anyone else that many won’t understand as they are not in her position. She has her veil, and she has her perspective. People tend to look from a different perspective and judge. That stereotype of veiled women being too close-minded and not accepting the ways of the western. Little do these judgmental people know that the veil is a representation of modesty and privacy, therefore, its equivalent to anyone keeping their privacy but perhaps in a different manner. The veil is a very personal element for women in Islam, and people must understand what it means in order to accept it. 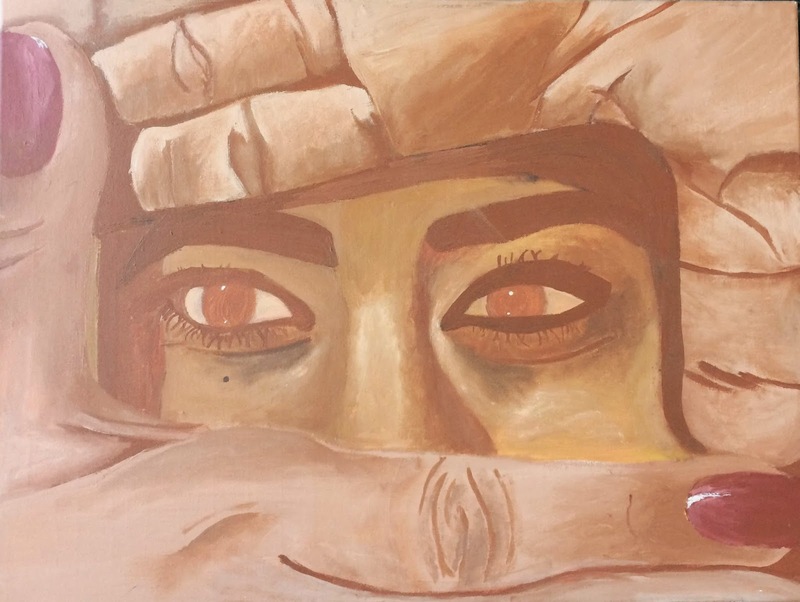 The painting illustrates how the women behind those hands will not be judged if she isn’t wearing the hijab that’s why I didn’t incorporate it in my painting. Yet people may hear and understand her perspective since they don’t know the truth about her being veiled.